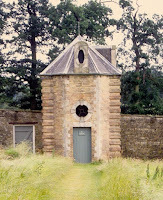 The entrance is in Gothic style and it has an overhanging pagoda-type clay tile roof. Timber stairs lead to mezzanine floors used for storing crops. Tools would have been stored below. It is set within the vestiges of the former kitchen garden of Tolworth Hall, which burnt down in 1911. The remains of the kitchen garden and wider estate are now a residential caravan park, owned by the council, but leased to a third party. The associated woodland is a Site of Nature Conservation Importance along with the Hogsmill river, which runs to the south of the site. 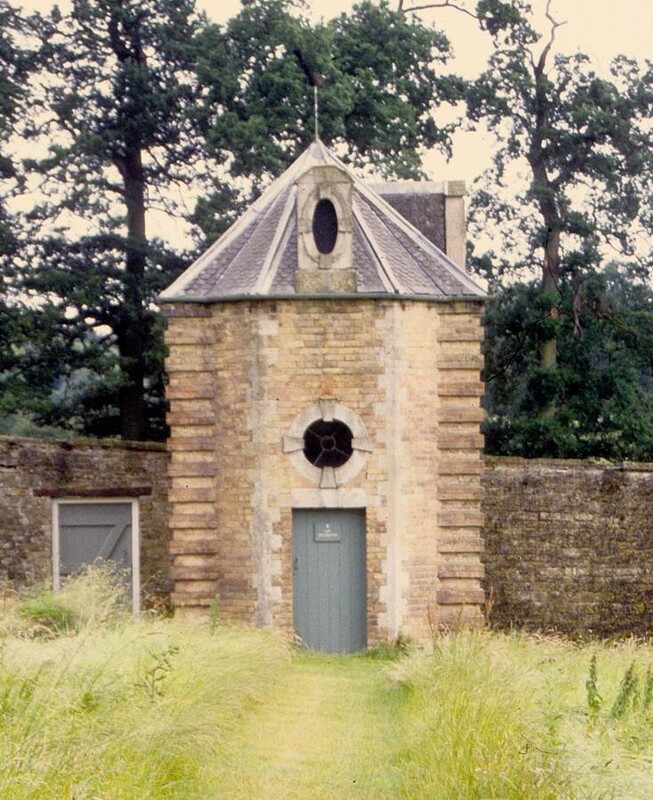 It was from here that firefighters obtained their water when attempting to quell the flames at the manor house, which was not rebuilt until 1926 when it was named Riverhill House. Surrey Comet 31st July 1911. The state of repair is not good with three courses of tiles missing from around the roof line as can be seen in the photo. When the use of the site was intensified to take an additional static home, there is damage to the face brickwork. There is a structural crack above the gothic front entrance. 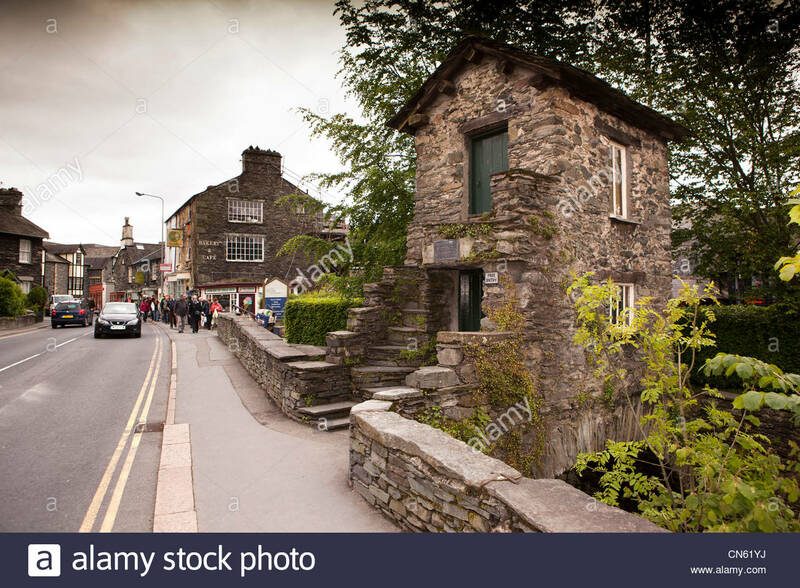 In other parts of the country apple stores, or fruit-houses are Grade 1 listed buildings such as the example of Ambleside bridge in the Lake District where the family lived below and the apples were stored above. They are part of a much bigger story. Markets and Fairs: Kingston, once home to the deliciously named Black Cherry Fair, had orchards as ‘far as the eye could see’ from Swakleys farm at the Ace of Spades to Chessington Hall; and down through Tolworth to Old Malden. Once a common sight within the landscape, the traditional orchard habitat is now under serious threat and for this reason the UK Biodiversity Action Plan (BAP) now includes Traditional Orchards in its list of priority habitats. But now there are only three registered orchards in the borough now. Kingston no longer has an apple market. The original market was assured protection by a Royal charter, in force since the days of Charles 11 in 1628. When I arrived in Kingston in the 1970’s, Kingston council was spending vast sums challenging market owners in Brent, Putney and Sutton through the courts. The world-famous J.E Austin and Co. Jam Factory- first opened along the Hogsmill at St. James Road (1) -and then to the Bentalls Depository site in Cromwell Road. John Austin died 1923, is buried in Kingston Cemetery (plot 97). There is a John Austin Close near Elm Road in the Canbury Area of Kingston. If the council is serious about becoming the London Borough for Culture 2020 than look no further as it is part of a much bigger story; including our very own heritage varieties of apple. We would like the council to undertake a building survey of the Apple Store to find out the extent of works required. Community fundraising efforts could be part of the solution to saving the apple store; it could open as a cultural information centre, a working museum and apple donor station for revivalists from organisations such as ‘Abundance’ and the London Orchard Project, who exist to ensure the magic of apples persist. 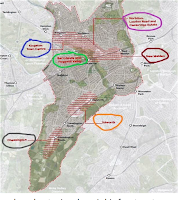 A leaflet has been produced with the support of local organisations and members of the public) with two apple trails leading through the Orchard Gardens, Apple Groves, and Cox Lanes of Kingston. Other boroughs have researched their own fruit heritage and previous posts have covered the massive story of market gardening in Hounslow, Isleworth, Twickenham and Hampton. The exhibition 'Jam Today, Jam Yesterday' (The Environment Trust) is a good starting point and has been covered in previous posts. The E.T. researched local market gardeners including R.D. Blackmore, who moved for his health to Hampton Wick- the Blackmore Farm is now Squires Garden Centre. His first house was at 25 Lower Teddington Road. Later he acquired land in Teddington and built a residence, which he named Gomer House, apparently after a favourite dog. Here he proposed to start a market garden to supply fruit to London. His western boundary adjoined land acquired by the South Western Railway Company for the construction of the line connecting Twickenham with Kingston. He wrote Lorna Doone in 1869; a story set in the late 17th century on Exmoor. Gomer House was demolished in 1938 and the memory of Blackmore is retained in various road names: Gomer Place, Blackmores Grove and Doone Close. There may still be still fruit trees of Blackmore's nursery provenance in various local gardens. There are certainly plenty of apple trees on Ham Lands perhaps some are from it's previous use as market gardens. On the first of this month, a large group of people- led by Geoffrey Hyde - convened to compare the merits and gather fruit on the Lands and Towpath.